According to one of science’s more speculative origin stories, the Big Bang wasn’t the beginning of everything. It was only the latest in a series of expansions and contractions: Big Bangs caused by the incredible pressure of stuff crammed together and Big Crunches caused by the gravitational pull of stuff spread apart. This theory, known as the Big Bounce, doesn’t do a great job of explaining the behavior of the universe we inhabit.1 But it perfectly describes the behavior of the ones we create. Any fictional storyscape expansive enough to be described as a universe — Star Trek, DC, Marvel, Star Wars2 — lurches forward in fits and starts. An audience’s insatiable demand for more content leads to a lattice of loosely connected works, which eventually collapses beneath the weight of its unwieldiness and inaccessibility. But the demand for more doesn’t diminish, so eventually — and seemingly more and more frequently, as tentpole franchises become billion-dollar businesses and the potential payoffs from fresh starts grow — the cycle begins again at a less complex entry point. We’ve seen it with DC’s summer reboot, which followed a 2011 reimagining named The New 52, and Marvel’s recent Secret Wars, which grabbed the baton from 2012’s Marvel NOW! 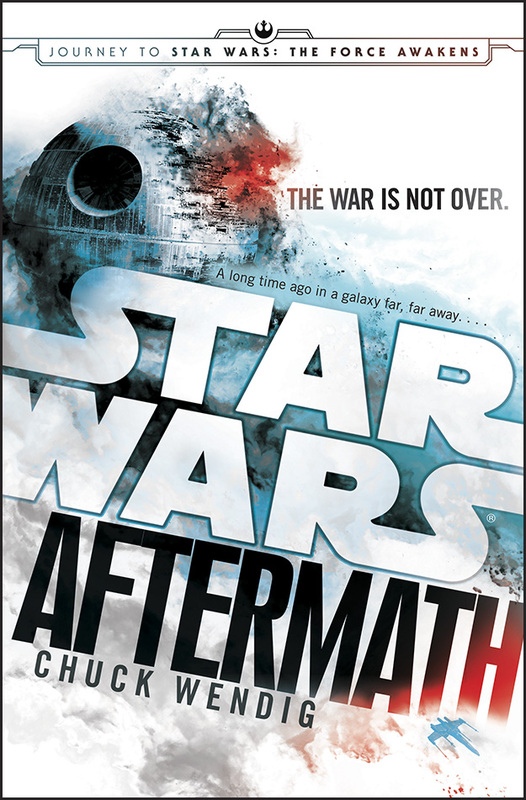 And we’re also seeing it with Star Wars, whose latest Big Bang starts not on December 18, when The Force Awakens hits theaters, but today, when a novel called Aftermath hits shelves. It’s an apt title for a story at the intersection of two climactic events concerning the galaxy far, far away. The in-universe aftermath is the power struggle that succeeds the destruction of the Second Death Star and the loss of the Empire’s Sith-heavy C-Suite at the end of Return of the Jedi. But the book also arrives amid a meta-aftermath: the Alderaan-like extinction of the old Expanded Universe, which started as a supplement to the movies and soon outstripped them in scope, sprouting into a story-surrounding-the-story that spanned thousands of years and unfolded via hundreds of books, comics, and video games from 1976 until 2014, when Disney decided to clear the decks for future films by declaring all that came before non-canon. Aftermath, whose release coincides with “Force Friday” — essentially Action-Figure Friday, a massive unveiling of merch — isn’t the first entry in the new timeline overseen by the Lucasfilm Story Group. But it is the first new-canonical incursion into the gulf between Jedi and The Force Awakens, as opposed to the relatively constrained space between the earlier films. It’s also the centerpiece of a painstakingly planned sequence of printed releases known as the “Journey to Star Wars: The Force Awakens,” a tagline emblazoned on Aftermath’s book jacket. “The way I always explain to people is we’re a bridge between Return of the Jedi and Force Awakens, but it’s not the whole bridge,” says Chuck Wendig, the author of Aftermath and its two upcoming sequels, who landed a licensed Star Wars trilogy after he asked the Internet for a hook-up a year ago today. At times, Aftermath feels more like the toll booth before the bridge, the expository price fans have to pay to unlock the larger story. Through its main conflict on a backwater world and a series of slightly disjointed vignettes, it lays the groundwork for the fractured galaxy we’ll see in the film, some 30 Star Wars-years later: The Empire is broken but still strong, and its surviving, squabbling bigwigs are struggling to present a united front instead of splitting into factions. The Rebel Alliance is now the New Republic, wrestling with its responsibility to rule without imposing order in an Empire-esque way. As in the upcoming movie, the emphasis is on new characters, although the non-Skywalker Alliance leadership shows up and Han and Chewie make a cameo only slightly longer than their dynamite drop-in from movie teaser no. 2. Readers who pick up Aftermath hoping for more than a teaser trailer’s worth of insight into The Force Awakens will probably be disappointed. There are hints here and there, like the potential foreshadowing in an allusion to Luke Skywalker — whose susceptibility to the Dark Side was explored in some of the EU’s most memorable work — having an “untouchable soul, at least for now,” or a chapter-long interlude about the black-market sale of Anakin Skywalker’s lightsaber, which appears to play a prominent role in the film. But this isn’t required reading for casual Star Wars consumers. Aftermath matters because it’s inseparable from every other outgrowth of Star Wars. “This is a very organic story-world,” Wendig says. “The Marvel universe is not entirely connected. Individual comics are connected and films are connected, but the comics and the films are not necessarily connected to each other. They’re kind of siloed, still. 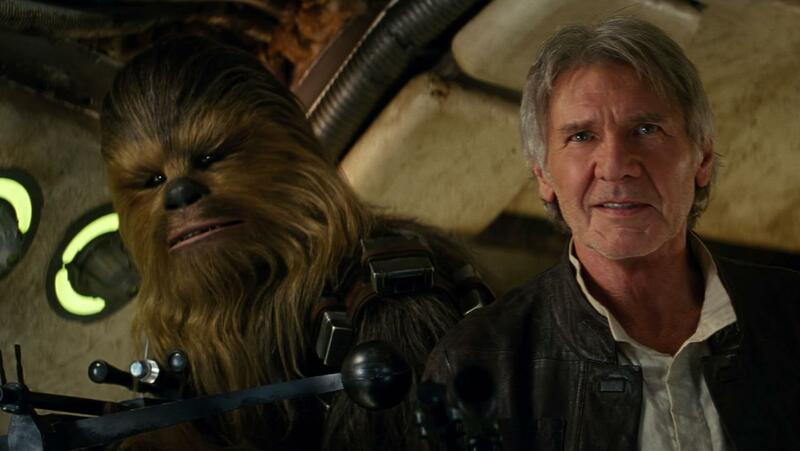 Star Wars isn’t like that.” The upside is a “big forest of narrative opportunity.” The downside is the same as any forest’s: It’s easy to get lost. At one time, I could’ve filled that trunk from my own shelf. For me, the EU was a post-Special Edition obsession, which gradually became an obligation and, later, an occasional, non-essential indulgence. Sometimes the EU crossed into camp with characters like Trioculus, a three-eyed mutant who claimed to be the Emperor’s son. (The real Emperor’s son was a different, albeit no more imaginatively named, three-eyed mutant, Triclops.) Its high points, on the other hand, could have held up without the license: Michael A. Stackpole’s I, Jedi, the first EU book to feature a first-person narrative and a protagonist who didn’t appear in the movies, or Matthew Stover’s Traitor, the first book with an entirely EU-only cast. Mostly, though, the EU just did the job, serving as a Star Wars delivery system that helped fill the filmless years. Laden with Star Wars signifiers like arm amputations and good guys having bad feelings, the books blended into one another, as one would expect of a series stitched together by dozens of authors of varying ability, all of whom were subsumed by the larger mythology — “part of the ride,” as Wendig describes it, but “not necessarily controlling the ride.” Keeping up with the Skywalkers was never as demoralizing as grinding in Star Wars Galaxies, but the reading was often driven less by pure pleasure than by a need to know what happens to Han. Or what will have happened to Han, until someone decides that it won’t be what happened to Han when Han has his own movie. The concept is confusing even to conjugate. What does it mean to wipe away something that was fictional from the start? There’s an impulse to say, “It’s still real to me, dammit.” Movie characters had kids, who had kids of their own. Boba Fett was resurrected; Chewbacca died.3 Once these would’ve been spoilers, but a press release robbed them of their capacity to spoil. It feels a little like Lucasfilm altered the deal: No matter how sensible the reset seems, it’s jarring to open Aftermath and see the previously sprawling Star Wars timeline reduced to a single page, with space to spare. Flipping to the first page feels like a betrayal of The Truce at Bakura, a 1994 novel that described the old events immediately after RotJ, which would conflict with those of Aftermath if they hadn’t been blank-slated. Post-reboot, books like Bakura don’t count, but they’re easy to find floating around libraries, used bookstores, and cardboard boxes in my mom’s attic. Their characters linger like Force ghosts: I’ll go to my grave knowing the name of the model picked to play an EU staple who was introduced by a book, killed off by another book 16 years later (causing much reader dismay), and then sent six years after that to the nebulous Star Wars sub-basement where the rebranded “Legends” stories reside. On that level, Aftermath succeeds. Although his use of some characters was restricted, Wendig says he was surprised at how much autonomy he had, and the story never feels like an excuse for tie-ins to other titles. The narrative goes to great lengths to illuminate the inner lives of Imperials — to impart some “understanding as to why they would be joining this cartoonishly evil network of space-jerks,” Wendig says — although it doesn’t do so as deftly as Timothy Zahn’s revered Thrawn Trilogy, which jump-started the Expanded Universe in 1991 after a long drought in Star Wars storytelling. Like Zahn’s books, which introduced a blue-skinned tactical genius named Grand Admiral Thrawn, Aftermath stars an Imperial admiral, Rae Sloane, who was marginalized under the Emperor’s rule because she didn’t look like an English guy recruited from an audition at Elstree Studios. Sloane is a start, but there’s still a surfeit of sneering officers saying “rebel scum” and incompetent stormtroopers yelling “You there!” And because the pool of possible planets has shrunk, Clone Wars-era locations like Naboo or Geonosis are referenced again and again, the way the same cars and pedestrians would constantly spawn on the streets of old video games whose software lacked the storage space to offer greater variety. Wendig mitigates the monotony by having fun with the prequels’ failings, repurposing a much-maligned Attack of the Clones-era battle droid into a deranged, Roger-Rogering bodyguard named Mr. Bones, who gleefully violates the First Law of Robotics à la HK-47. Aftermath ends by introducing a mysterious, Thrawn-like figure,4 raising the possibility that echoes of the old EU will infiltrate future books and further muddle my mental map of Star Wars. Despite the best organizational efforts of the stewards of Star Wars, characters quickly proliferate, and story lines intertwine. Even Sloane isn’t an original character: She debuted in a book last September that served as a prequel to the well-crafted Disney XD series Star Wars Rebels, and also appeared in a short story that ran in Star Wars Insider and tied into an earlier novel. She’ll be back next month in yet another short story, which will be published as part of a compilation. One year after Lucasfilm started from scratch, we’ve already reached the point where a prospective reader has to see the movies, watch multiple animated series, buy other books, and subscribe to a magazine to catch every reference. The new Star Wars oeuvre hasn’t swollen to its former size, but it’s already expanding to fill a galaxy-sized space. “That is the way of things,” as Yoda still-canonically said. And once it expands enough to scare anyone off, the next Big Crunch will come. Namely, the recent observation that the universe’s expansion is still accelerating, 14 billion years (give or take a few hundred million) after the Big Bang. The latter two of which are owned by Disney, which also owns Grantland and helps forestall my bank account’s Big Crunch. On the planet Sernpidal, my brain urgently (and uselessly) reminds me.